2017 is a huge year for Star Wars—not only is The Last Jedi on the way, not only has it been 20 years since the special editions changed the saga and fandom forever, but it’s also the entire franchise’s 40th birthday. 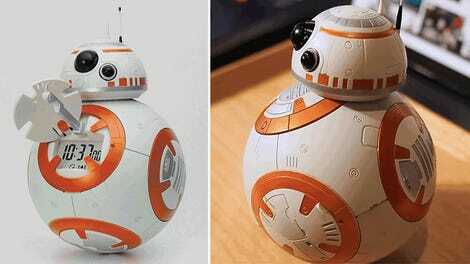 That means, naturally, that there’s going to be some sweet Star Wars merch to celebrate, and we’ve got a first look. Hasbro will be launching tons of new toys and merchandise to tie into the 40th anniversary throughout the year—staring this spring, with a new range of 3.75-inch Black Series figurines and a new anniversary edition of Star Wars Monopoly. 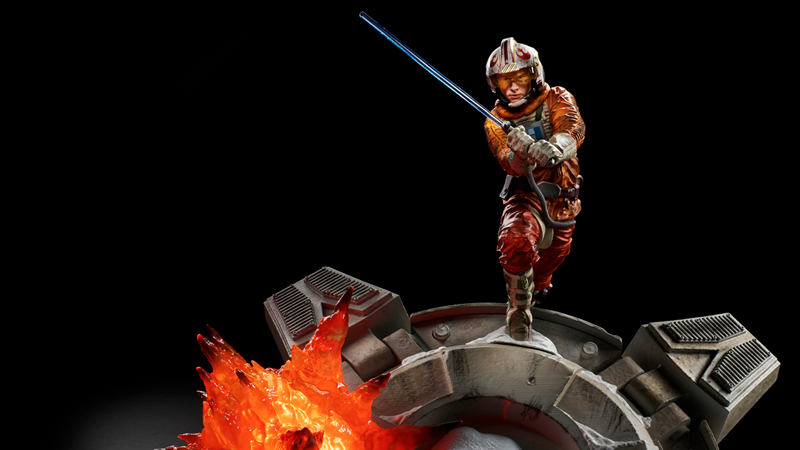 The 3.75-inch figurines in the new Titanium series will retail for $15 each, and are all based on A New Hope. While they’re static diecast figurines rather than poseable action figures, each of the six —Darth Vader, Obi-Wan Kenobi, Luke Skywalker, Princess Leia, and Han Solo—also feature accessories like FX pieces for their weapons, as well as their own special backdrops. The backdrops include two different inserts, a backdrop from the movies, and also character art that can be connected to other Titanium series figure stands to complete the full scene. Later this year, alongside the waves of merchandise based on The Last Jedi, there’ll be even more 40th-anniversary toys. The 6-inch Black Series figures will be getting their own line of figurines called the “Centerpiece” range. If you remember the old “Star Wars Unleashed” toys from the early 2000s, they’re a lot like that: static figurines of characters in dynamic poses on special stands, made to look like recreations of key moments from films across the saga. There’s one key difference with these new ones. though—the lavish new scenery bases will include light up effects to make each figurine even more of a display piece, and on top of that, will feature additional pegs so multiple figures can be placed on a single base. The line will kick off with a new version of Luke in his pilot gear from Empire Strikes Back, and each figure will sell for $50. Finally, the toys in fall will be joined by a new series of Black Series Lightsaber props, continuing on the line that was revitalized in 2015 for The Force Awakens. The new range coming later this year will include a new version of Obi-Wan Kenobi’s own lightsaber (for $180), with a light-up, metal hilt and the requisite sound effects.